Islington Council, supported by the Thornhill Square Association, is planning to replant roses in the rose bed near the circle in the park. However, new roses planted where roses have died can suffer from replant disease. 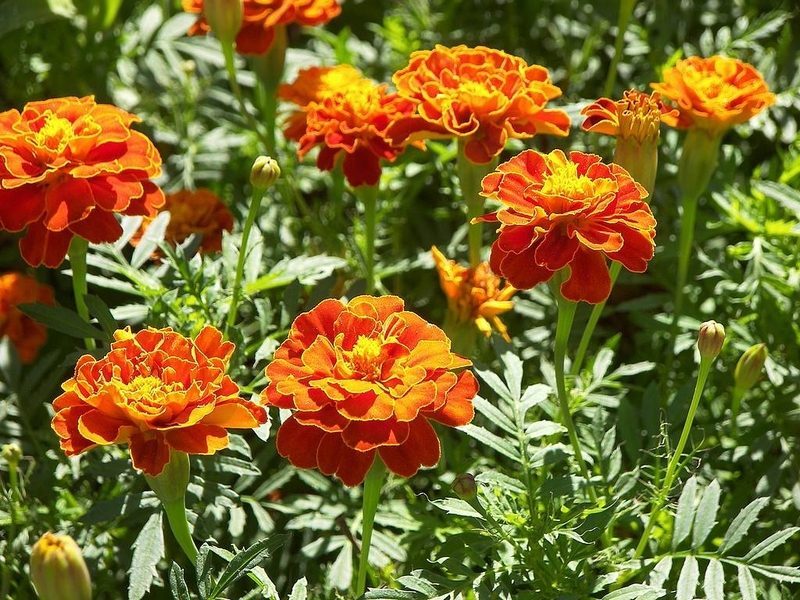 Planting tagetes (French marigolds, as in the picture alongside) might help, especially by removing nematodes from the soil. This is why the rose bed might look odd this year, with little orange marigolds among the roses. If children and dogs are kept off the bed, the tagetes should flourish and do their work, so next year there can be healthy roses. Meanwhile the herbaceous borders are looking excellent, thanks to all the work that Sarah Marsham has done. There are still “volunteering” tasks available in the park. Some are especially suitable for Duke of Edinburgh’s Award candidates who want to enjoy themselves and feel useful. They can all contact us.